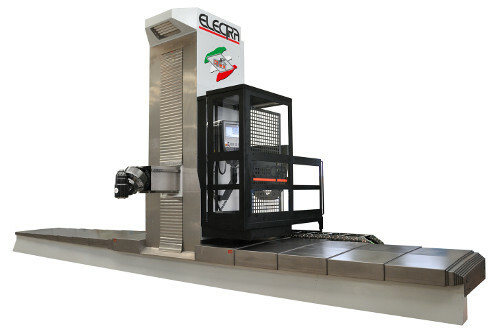 ELECTRA is a very versatile floor type high dynamic milling machine featuring high technology solutions. Wide range of configurations on multiple axis, modularity on travels and various accessories (milling heads, heads auto change, rotary tables, ATCs, automation). The machine is ideal for roughing and finishing operation on medium and large parts and can be installed in mould and die operations, aeronautic and power generation industry as well as in general job shops.